The Portsmouth Naval Shipyard is a huge part of the seacoast economy. The place employs an incredible amount of people with an equally impressive payroll that pumps money back into the local economy. 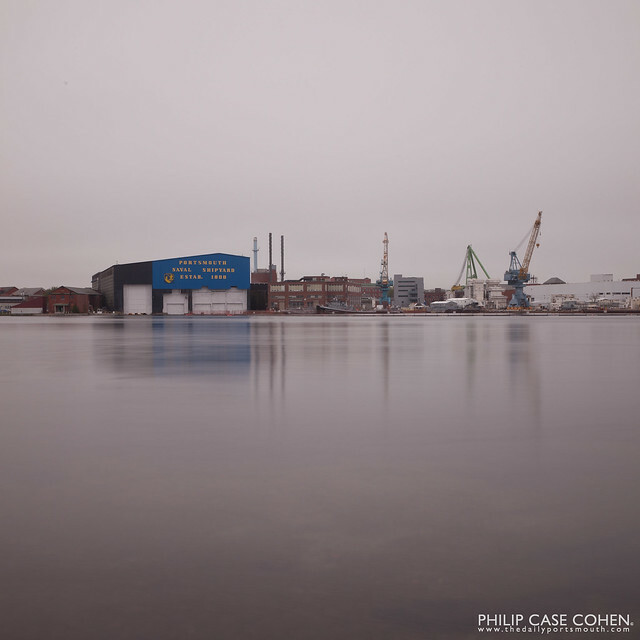 From across the Piscataqua, the Shipyard looks like a calm and empty destination. I love the industrial look and feel of the shipyard’s waterfront from Prescott Park, a study in contrast where people are free to enjoy walking around the grassy waterfront land.